This flow meter is made from superior materials of construction for high performance in aggressive environments. The modified upstream and downstream flow straighteners allow for a higher accuracy and greater fluid dynamics. The TR-QS Wafer Style Turbine flow meter is made from superior materials for high performance in aggressive environments. The wafer style mounting configuration eliminates the need for mating flanges, resulting in lower costs and simplified installation. The modified upstream and downstream flow straighteners allow for a higher accuracy and greater fluid dynamics. Accurate & Reaptable: The TR Series turbine meter is accurate to ±1% of reading with repeatability of better than ±0.1%. 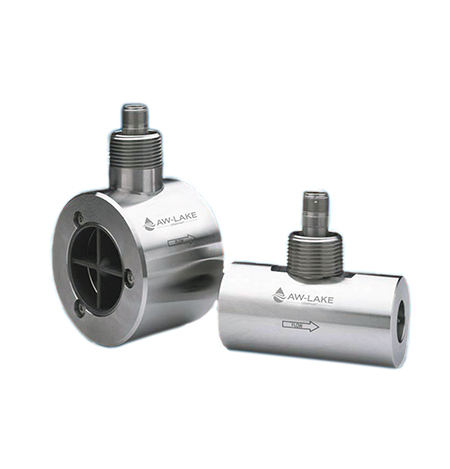 Smart & Simple Design: Unique design eliminates the need for mating flanges, resulting in lower costs and simplifying installation. Space-Saver Wafer-style mounting configurations for limited space requirements. High Performance: This flow meter is made from superior materials of construction for high performance in aggressive environments. Improved Accuracy: The modiffied upstream and downstream flow straighteners allow for a higher accuracy and greater fluid dynamics.